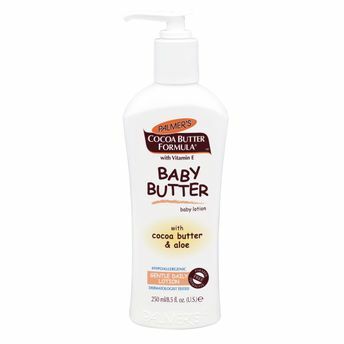 Palmers Cocoa Butter Formula Bottom Butter enriched with pure Cocoa Butter, Vitamins A, D and Pro Vitamin B5 (Panthenol) that helps treat and prevent nappy rash. It provides a protective moisture-proof barrier that keeps wetness away from your baby's sensitive skin; it spreads easily with no messy clean up. Helps treat and prevent nappy rash. It spreads easily with no messy clean up. Explore the entire range of Creams, Lotions & Oils available on Nykaa. Shop more Palmer's products here.You can browse through the complete world of Palmer's Creams, Lotions & Oils .